LIVE ALBUM NOW AVAILABLE ONLINE! While physical copies of this are super rare and limited (mostly going to the fab people who supported my Pozible campaign earlier this year! 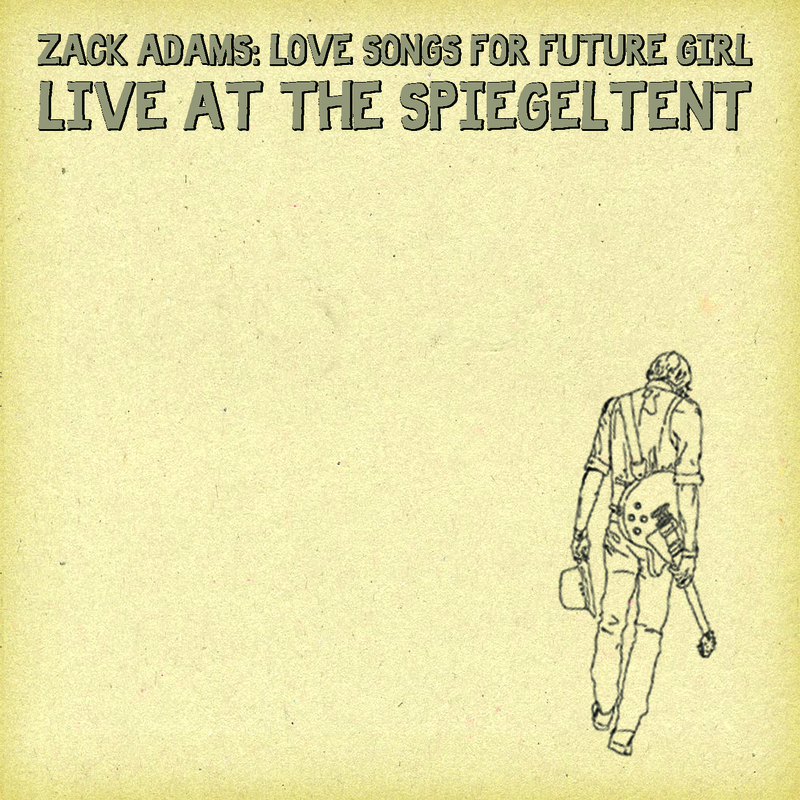 ), for the first time, the digital download version of LOVE SONGS FOR FUTURE GIRL LIVE AT THE SPIEGELTENT is now available online! For a limited time only (probably til the end of this year) it will be ONLY $4 (or more if you’re feeling generous or are some kinda eccentric billionaire)! BARGAIN! It’s 20 live tracks (WHAT!?! That’s only 20 cents a track!) and comes with 2 BONUS TRACKS! HOLY KITES! P.S. Thanks to all who voted on Facebook. My show next year will be called ZACK TO THE FUTURE and it’s all YOUR fault.